All links are book related for your summer enjoyment!! 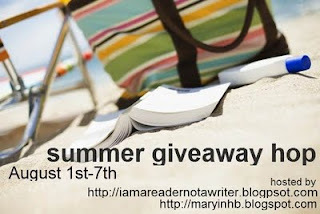 While you are visiting A Year of Jubilee Reviews please check out my other giveaways on the left sidebar! Desert Intrigue is up for graps thanks to Linda Clarke Weaver. She is offering 2 e-copies of this book. 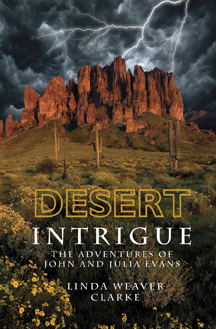 Desert Intrigue is the 4th in the series about John and Julia Evans. Each book has taken the Evans family on an adventure laced with mystery! Each has been a page turner and I have so loved this series! My favorite book would have to be The False Prince by Jennifer Nielsen. It like the Hunger Games and Game of Thrones rolled in one...a little more Game of thrones than Hunger Games though. The best book I read this summer is also my all time favorite, and one I have read several times in the past....Watchers by Dean Koontz. The best book i read this summer is Betrayed by Ednah Walters. New follower. My favorite book is "Gold" by Chris Cleeve. It is set at the London 2012 Olympics between two bike racers and their friendship. Can winners and loosers get along? It is very interesting! I read three books this summer that really stand out: Divergent, Insurgent, and Haven. All three are books that I would normally pass by, but I picked them up and fell in LOVE. "Natural health for Chronic Fatigue and Fibromyalgia." For me it has been A Perfect Blood by Kim Harrison, it was awesome. I'm in the midst of reading Sing You Home by Jodi Picoult. It's great! I've only read one so far..."Bible Basics." Archangel's Kiss by Nalini Singh!